This is the beautiful piazzetta where you arrive if you take a gondola or waterbus to St Mark's Square. 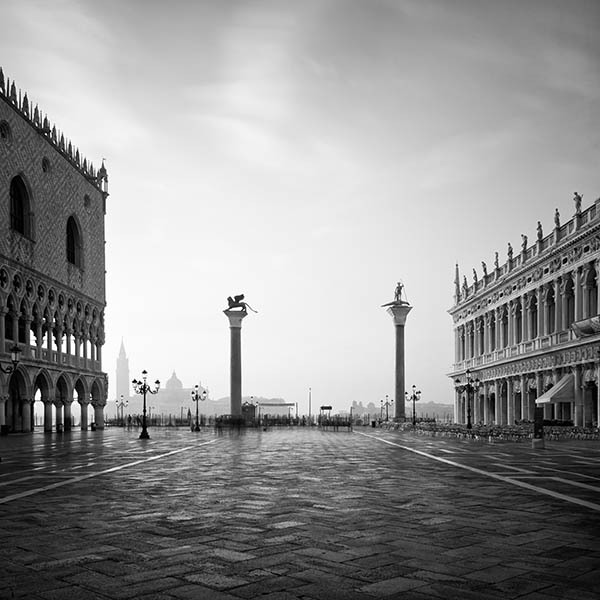 The piazzetta connects the piazza San Marco with the Venice lagoon. The two columns date from the 13th century and carry symbols of the two patron saints of Venice - St Mark and St Theodore. The two buildings are the Doge's Palace on the left and the Libreria on the right.